A biologist by training, Hamed Arthur Yo's mission is to enable the most vulnerable sections of the Burkinabe population to have drinking water. In the country of honest men, access to this resource is still problematic. The Ebola epidemic affected several West African countries two years ago. Logically, its passage has created panic, both in affected countries and in those for which no cases have been identified. 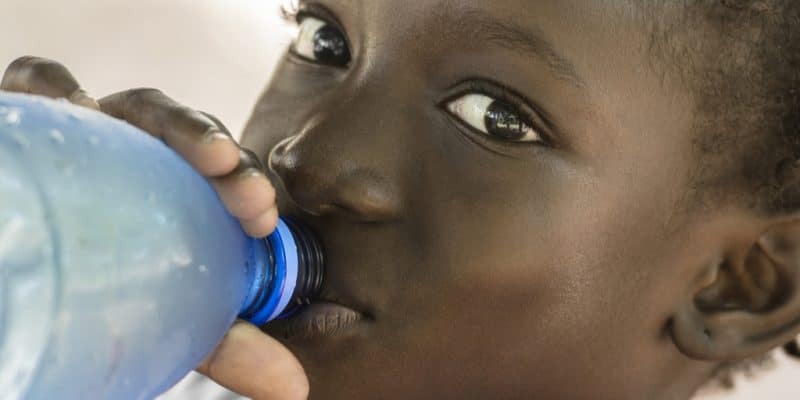 Burkina Faso did not have to face this health crisis, but in this country the concerns were very great, because the disease could spread very quickly; so much the population does not have access to drinking water (necessary to wash its hands in order to prevent the disease). In fact, of the 18.6 million people living in Burkina Faso, less than 2 million have access to good water and sanitation services, according to the World Bank. It is on the strength of this alarming observation that Hamed Arthur Yo, biochemist and microbiologist, decides to realise a dream he has had for a decade, namely to develop a solution for drinking water. He embarked on the adventure with Nafila Sangaré, in charge of business start-up support at La Fabrique. They are putting together the Bilada project which means “the jovial child” in Diola (one of the languages spoken in Burkina Faso-Editor’s note). It is in 2017 that Bilada is transformed into a company. Hamed Arthur Yo’s idea is simple: make the necessary disinfectant (chlorine) to make water edible. He uses two materials that are easy to find in Burkina Faso: water and cooking salt. In his impetus, he received the help of the Antenna Foundation which trained him in WATA technology (developed by Antenna, to eliminate pathogenic micro-organisms in water, Editor’s note). It is this same foundation that is supporting him in carrying out his “first environmental market study” in 2017. Yo’s aim now is to make this solution accessible to all, especially the most vulnerable populations living mainly in rural areas; but he would also like to work with hospitals that he knows well because he has worked with the public service.” The Bilada project also aims to meet the need for disinfection products to prevent infections in health facilities,” said Hamed Arthur Yo in the BBC radio programme Afrique Avenir. Burkina Faso currently has over 2.8 million households. Bilada’s objective is to enable 3% of these households to have access to drinking water by 2020.